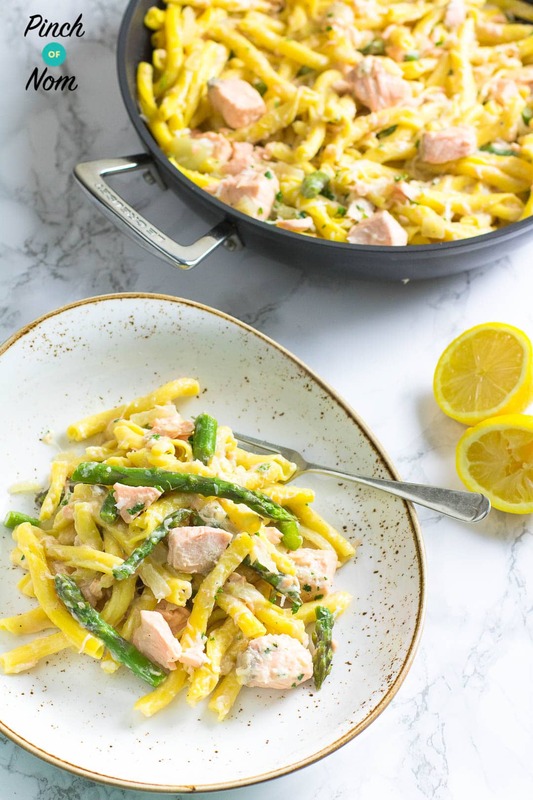 This Creamy Salmon and Asparagus Pasta has to be one of our favourite pasta dishes and great for Slimming World, Weight Watchers and Calorie Counting diets! 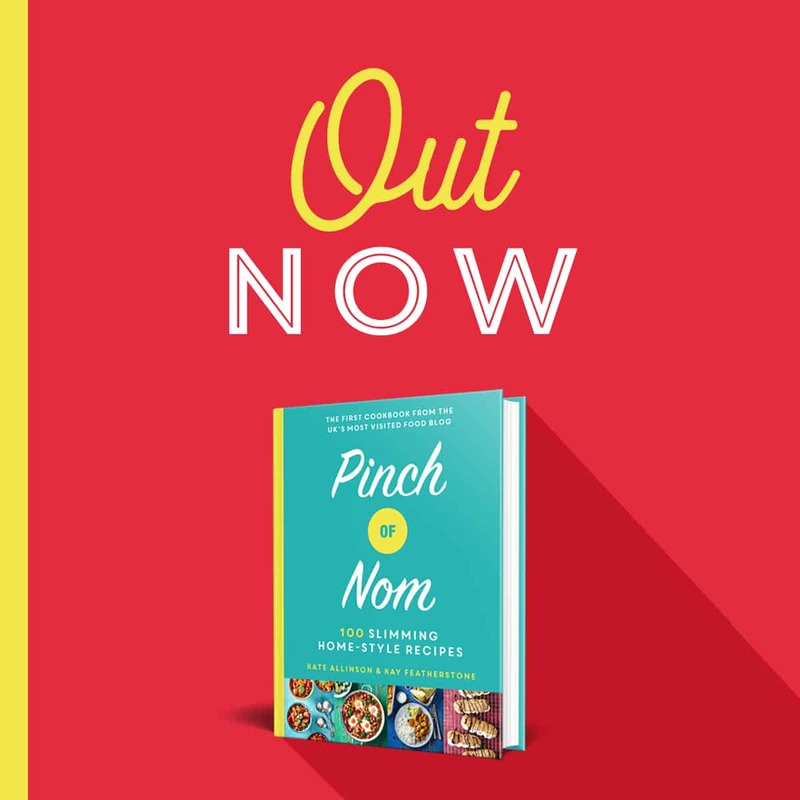 It’s quick, easy with loads of amazing fresh flavours – great for a light lunch! If you’re having this Creamy Salmon and Asparagus Pasta as a main meal, why not try our Cheesy Garlic Bread to accompany it? You’ll notice that this Syn Free Creamy Salmon and Asparagus Pasta recipe uses an egg to make the sauce. If you’re concerned about this don’t be. It’s the traditional way of making pasta sauces like Carbonara, and it’s perfectly safe as the egg is going to cook enough whilst you stir it into the hot pasta. Having said that, you should avoid this if you’re pregnant or if you’re cooking it for an older person – They should avoid raw and lightly cooked eggs just in case. Asparagus compliments the salmon perfectly, and if you’re making this between late April and late June you really should try using some British Asparagus, you can’t beat it! Some of you love this Creamy Salmon and Asparagus Pasta recipe! What do I need to make this Creamy Salmon and Asparagus Pasta? 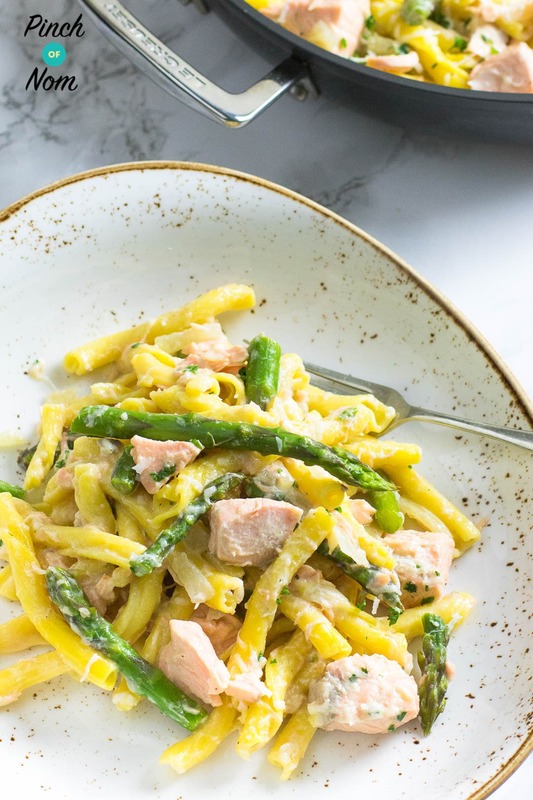 You’ll need a super fine cheese grater for the hard cheese in this Creamy Salmon and Asparagus Pasta, you can pick one up from Amazon! Watch out…it’s SOOOOOOO sharp, take it slow! 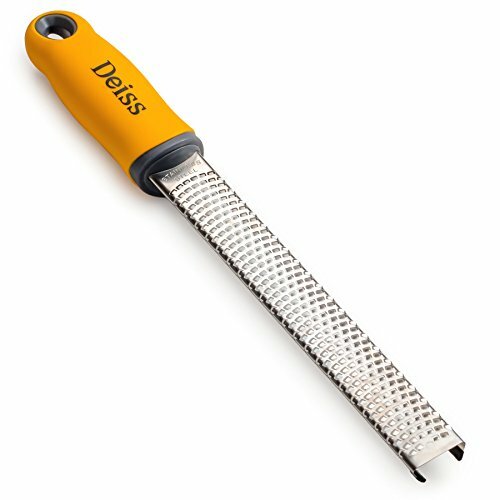 We use this amazing grater all the time in our recipes. 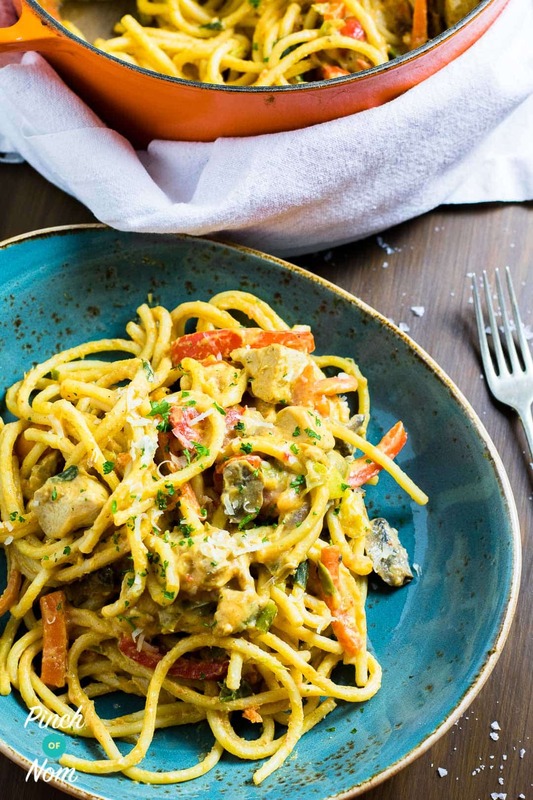 Why not try using it in our Creamy Cajun Chicken Pasta recipe? 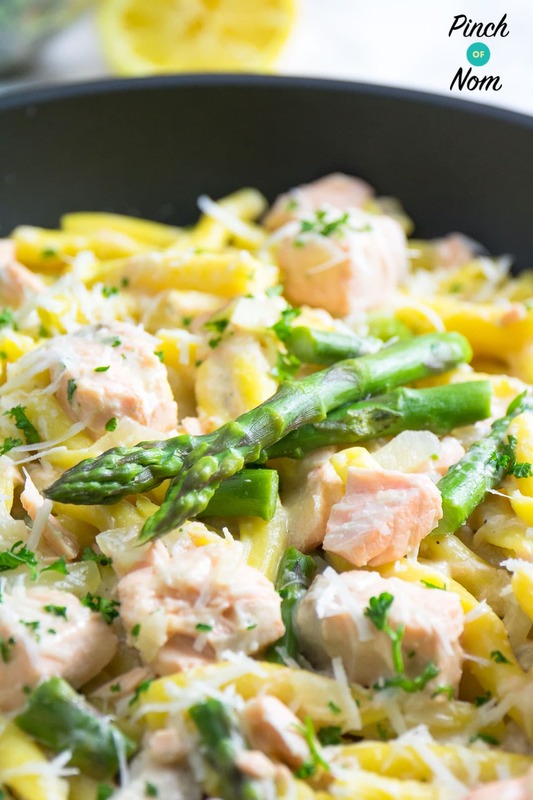 How many Syns are in this Creamy Salmon and Asparagus Pasta? 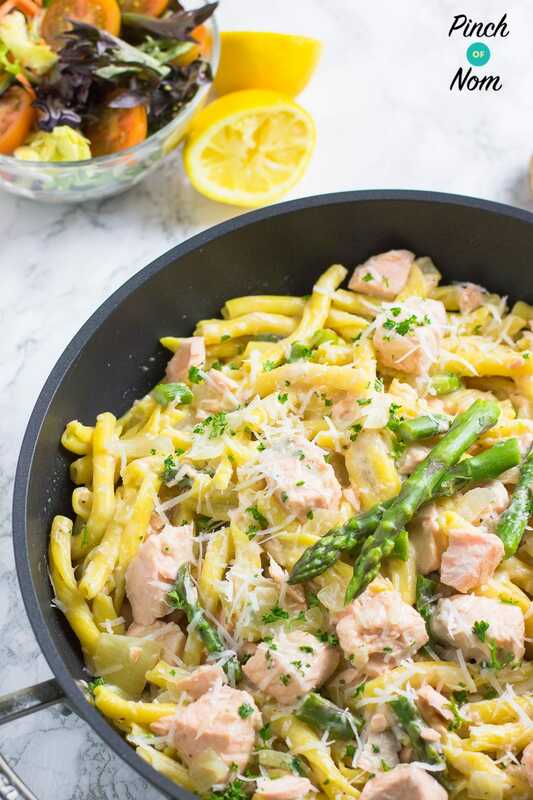 This Creamy Salmon and Asparagus Pasta is Syn free if you use a quarter of one of your Healthy Extra A allowances for the cheese – you could always top it with more cheese if you fancied using half or more of that HEA allowance! 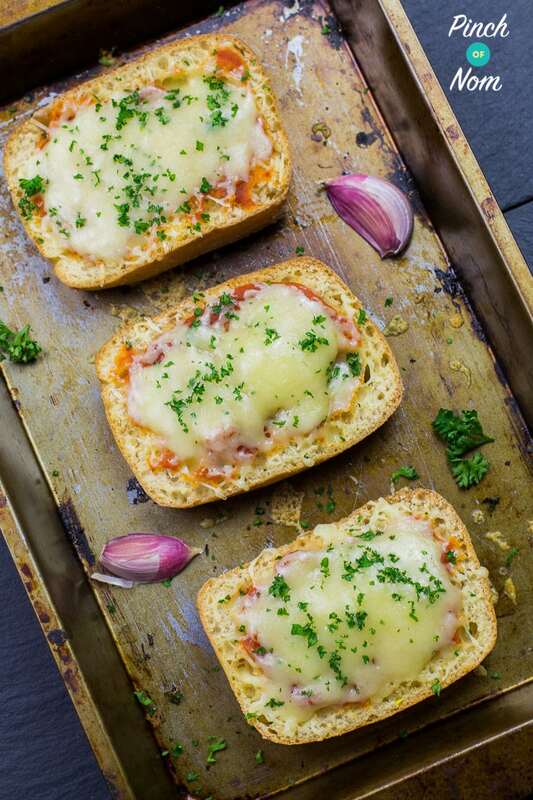 If you wanted to Syn the cheese, it would work out at 1.5 Syn per portion! 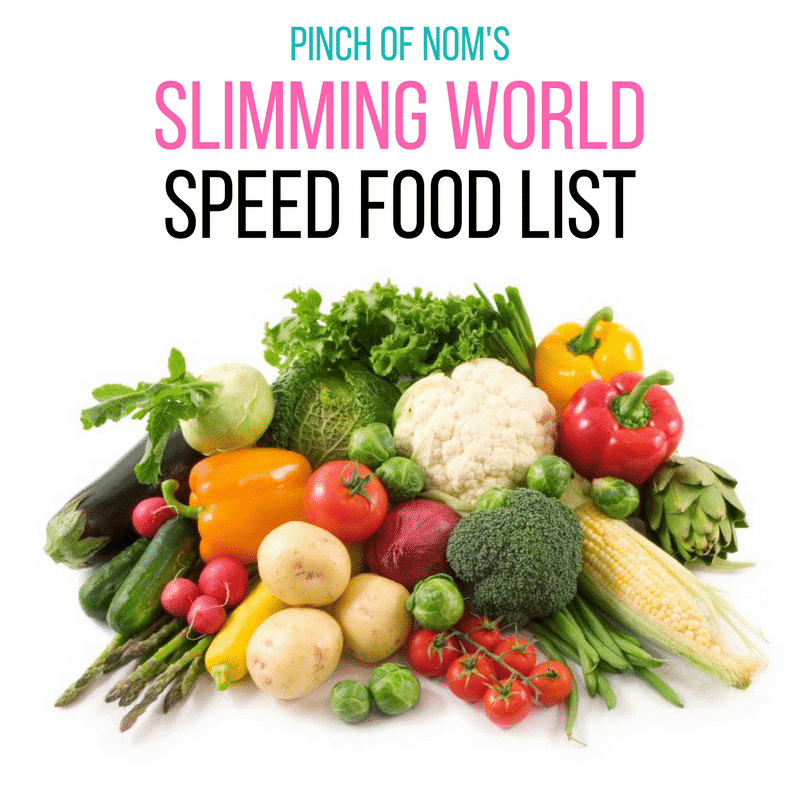 You can serve this Creamy Salmon and Asparagus Pasta with loads of different vegetables – why not choose something from our Slimming World Speed Food List? 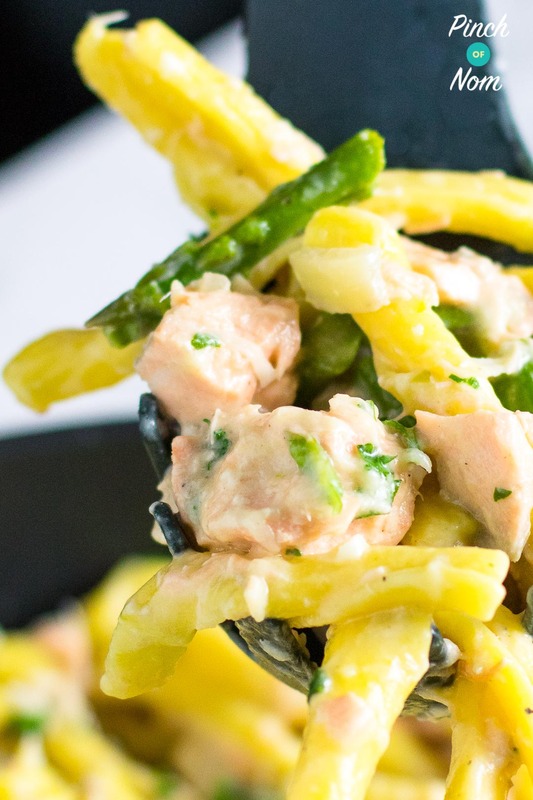 How Weight Watchers friendly is this Creamy Salmon and Asparagus Pasta recipe? This Creamy Salmon and Asparagus Pasta is 12 Smart Points per portion. 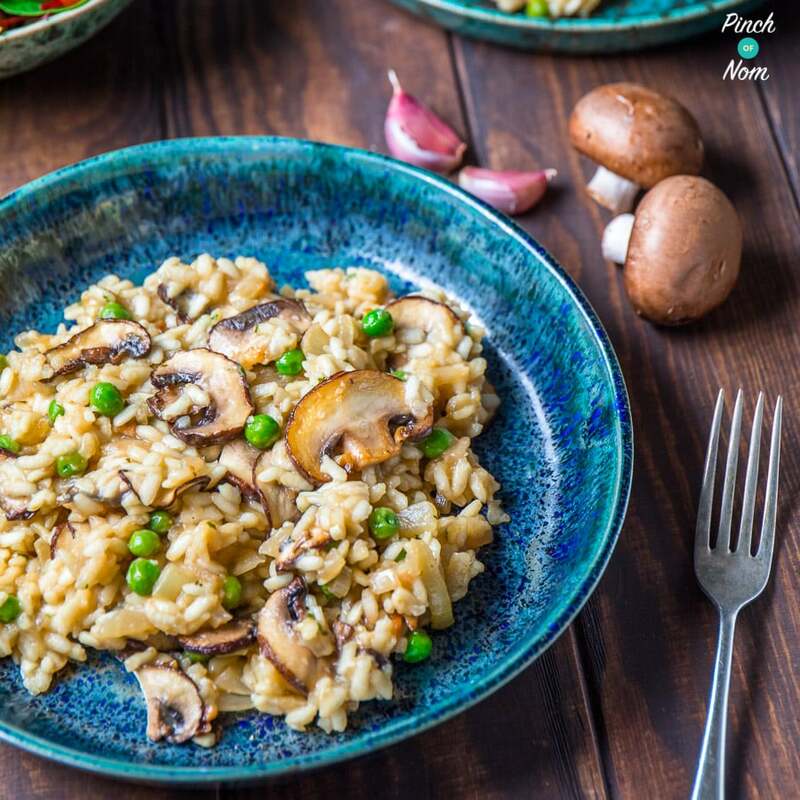 However, to make this more Weight Watchers friendly, you could replace half of the pasta with courgette ribbons, or add some green beans and extra asparagus! 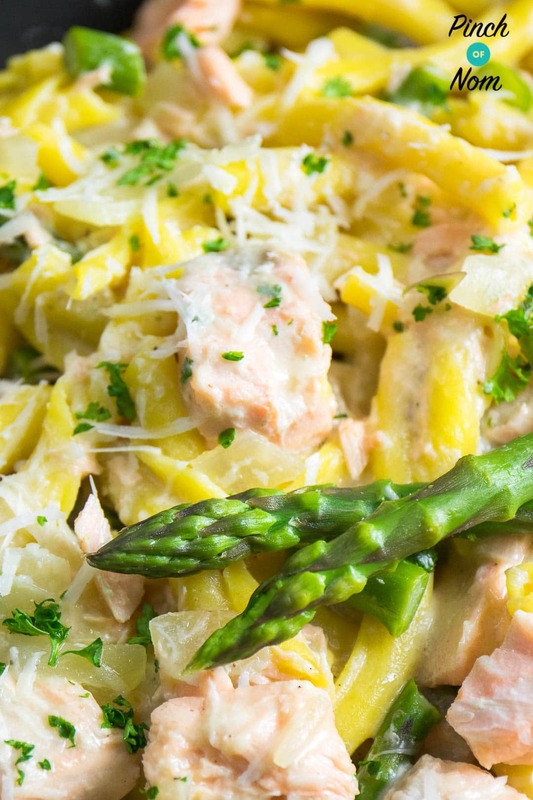 How many Calories are in this Creamy Salmon and Asparagus Pasta? This Creamy Salmon and Asparagus Pasta is really comforting and hearty. You’d think it would be packed with calories seeing as it’s so creamy, but it actually has less than 400 calories per portion! How do I make this Cream Salmon and Asparagus Pasta? Why not try some of our other amazing pasta dishes? Want to save this Creamy Salmon and Asparagus Pasta for later? 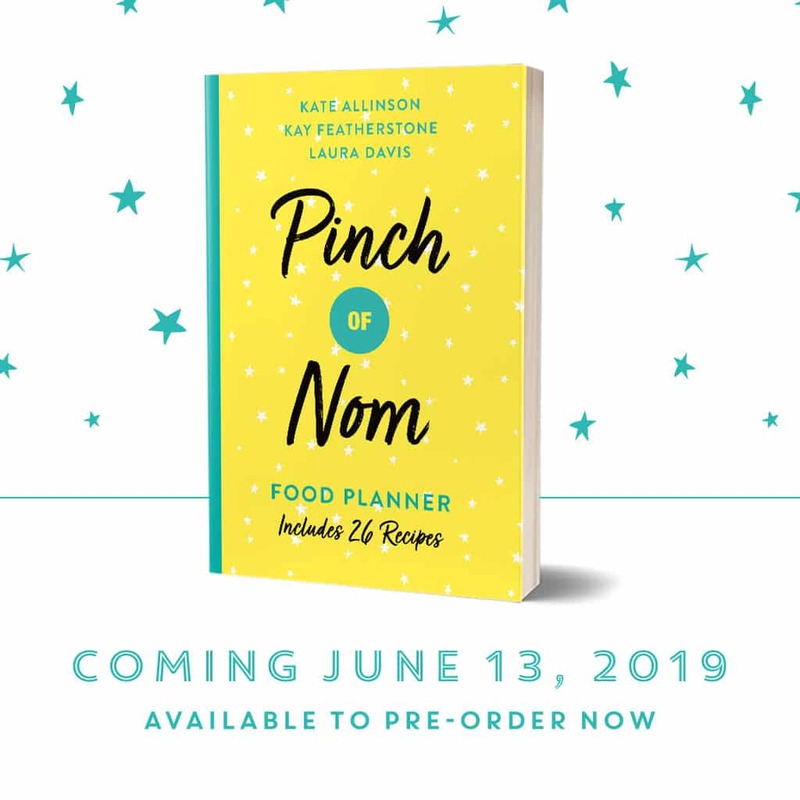 Pin it to Pinterest! Yummmy dish. 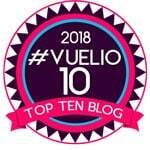 I absolutely loved and my husband too! 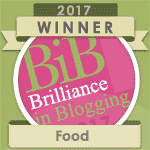 Definitely recommend it and I will make it again. Just read this recipe it sounds delicious. I now know what we’re having tonight. Can’t wait. Yes, you put the stock cube and half the fish stock pot into the 400mls water. Thanks for your enquiry. So is there no cooking of the egg quark mix? Could you have this cold the next day At work? I want to make this but I have no parmasan or fish stock is it still possible? Just made this for my lunch and wow!!!!! By far my fave spaghetti dish up to now. I would highly recommend to anyone!!! What type of pasta have you used in this, looks like long pieces of macaroni? Would be perfect for my weaning baby! Was a bit unsure because if the fish stock and stockpot(which I couldn’t find so made do without) How wrong was I! What a tasty dish! Will definitely be making it again. What other cheese would you recommend to use rather than pecorino?